Full landscape View #8. 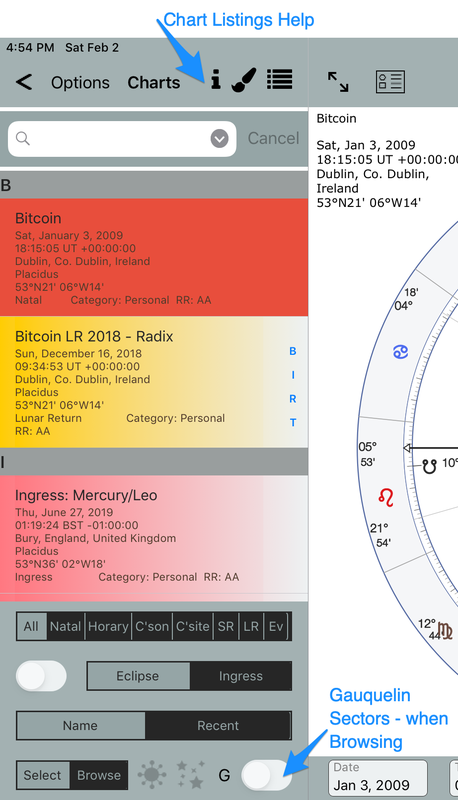 For proportional natal/radix charts. For Your Charts and Provided Charts. 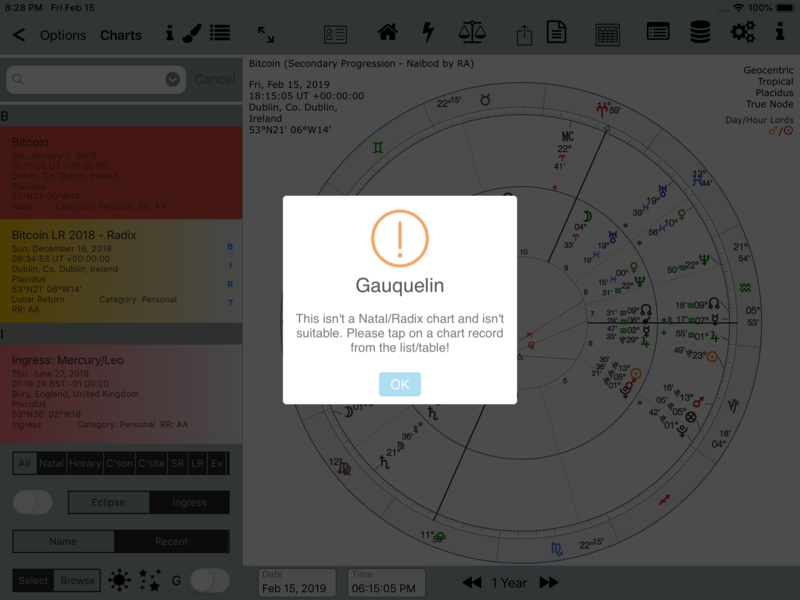 Gauquelin sectors This is the “house” system used by the Gauquelin’s and their epigones and critics in statistical investigations in Astrology. Basically, it is identical with the Placidus house system, i.e. diurnal and nocturnal arcs of ecliptic points or planets are subdivided. There are a couple of differences, though. – Up to 36 “sectors” (or house cusps) are used instead of 12 houses. – The sectors are counted in clockwise direction. – There are so-called plus (+) and minus (–) zones. The plus zones are the sectors that turned out to be significant in statistical investigations, e.g.many top sportsmen turned out to have their Mars in a plus zone. 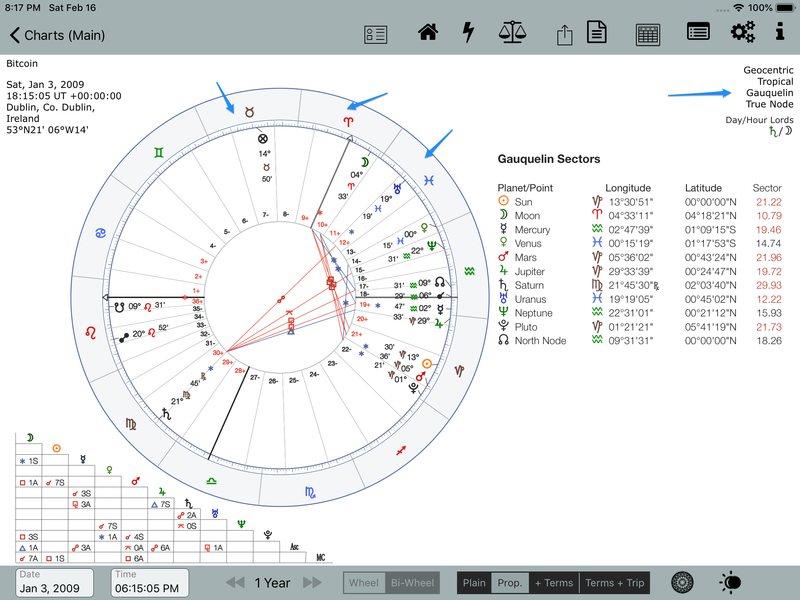 The plus sectors are the sectors 36 – 3, 9 – 12, 19 – 21, 28 – 30. 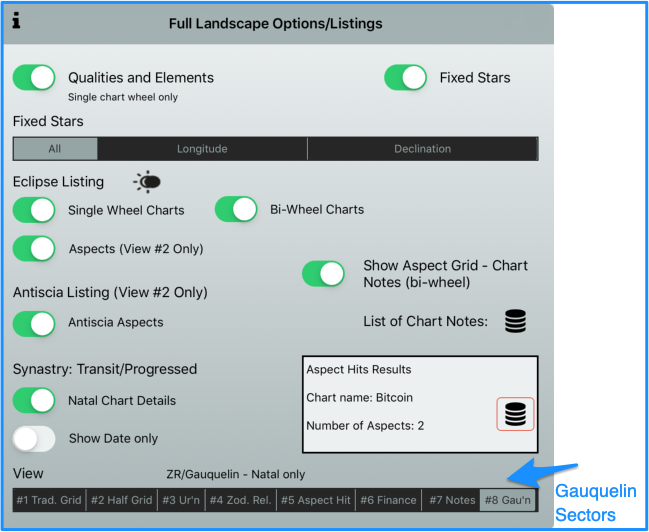 Note that a proportional chart style is automatically selected by AC when displaying Gauquelin Sectors. 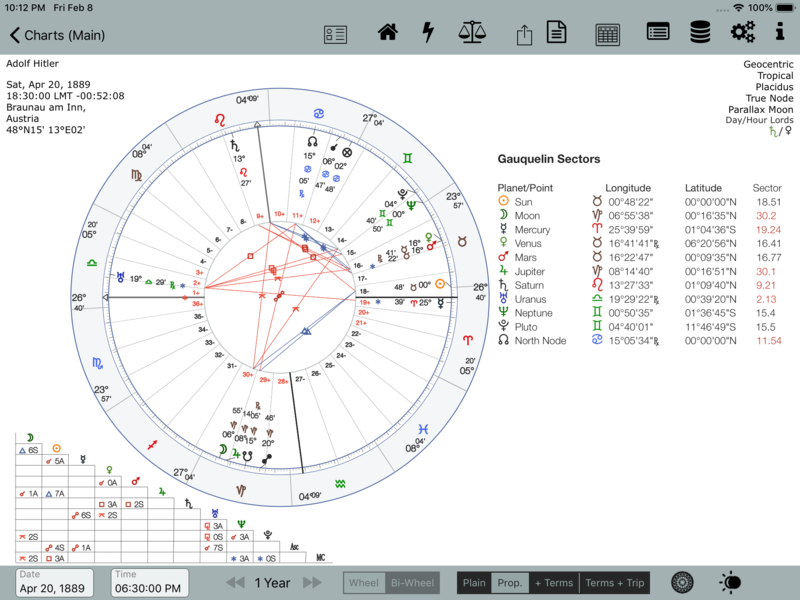 Example chart, when Full Landscape View #8 is selected. Gauquelin Sectors for Adolf Hitler. Plus sectors shown in red in the chart. 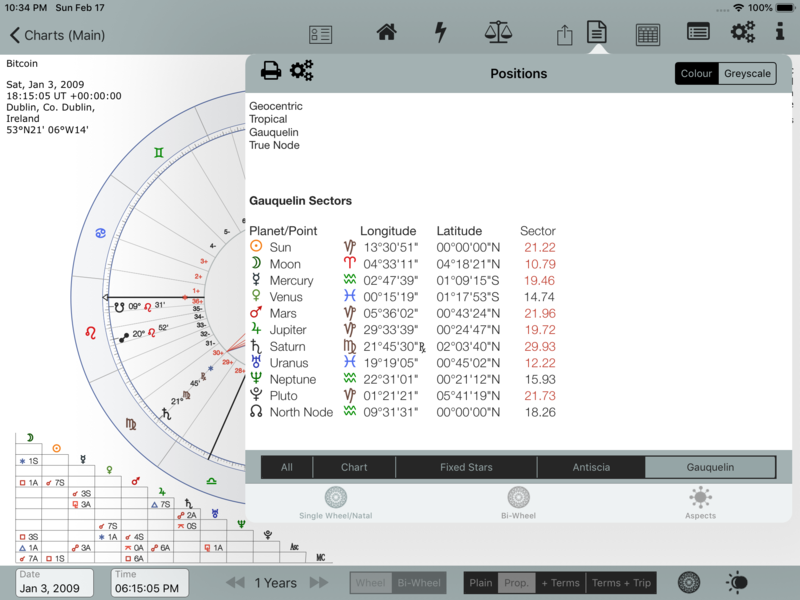 For any planet occupying a + sector the corresponding value is shown in red in the listing to the right of the chart. Gauquelin Sectors. View #8 with no zodiacal degs, mins. 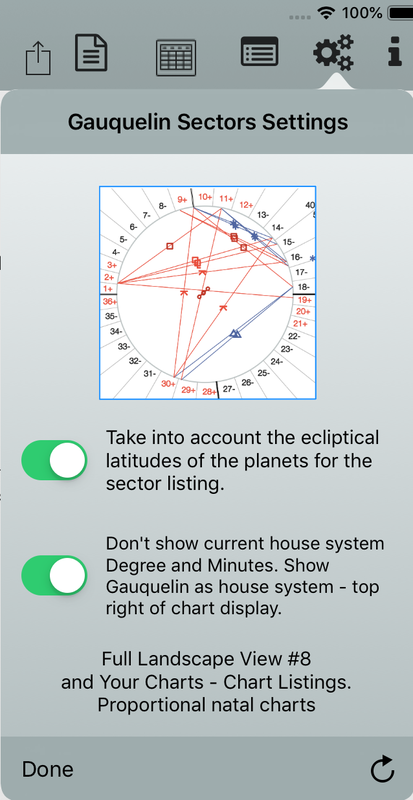 Gauquelin Sector Settings – both options enabled by default. 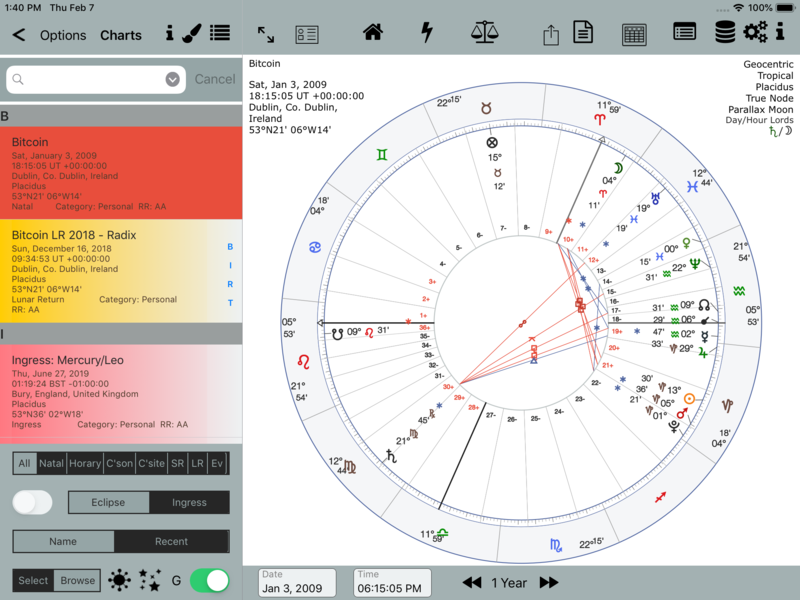 This can occur if a chart isn’t initially a Natal chart or is initially a bi-wheel chart. Easily fixed by tapping a chart record.